As I was browsing through Martha Stewart earlier, I stumbled across the sweetest DIY invitations. 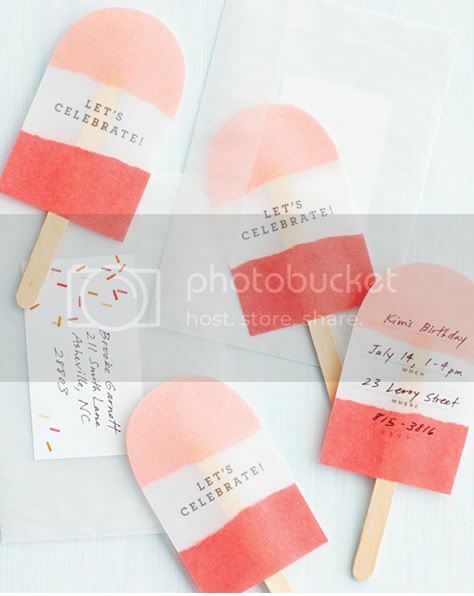 These retro-looking ice pops are sure to conjure some sweet flashbacks -- and definitely set the tone for an awesome summer party! For all the details, head on over to Martha Stewart. its soo hot here too! i'm so glad to be home from work and in the air conditioning! love them! they are adorable! P.S. I should have came to visit you at the beach this weekend! So cute! 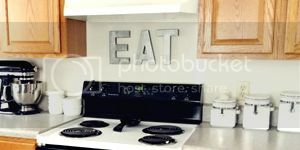 Maybe I'll make them for our housewarming party! Hmmm. Probably the cutest invite I've seen in a long time. Adore them! Oh I love this idea...how cute! these are literally too cute for words!! you make days bright with delight! it's SO true!!! and i just can't get over how incredible your blog design talent is, sky rocketing radness. most honored to be among those other swell peeps on your sidebar!